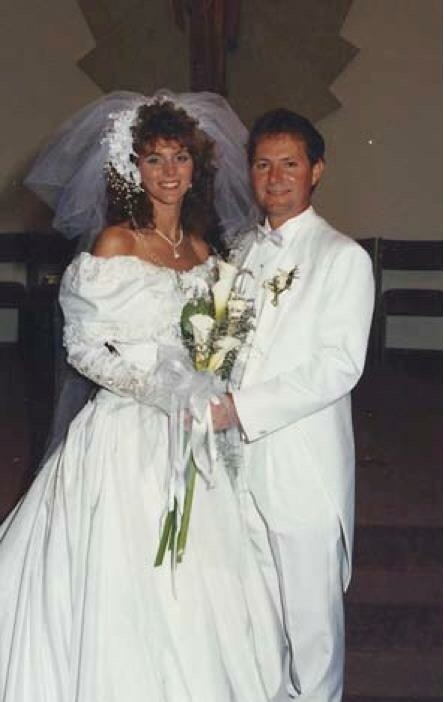 Tomorrow will be our 23rd wedding anniversary. When we fell in love and planned our wedding, I don’t think I envisioned what life would be like with 23 years under our belts (21 if we’re discounting the dysfunctional years). As a young bride, I was caught up in the details of the wedding day. What this promise meant was not in the forefront of my mind, as it should have been. Unfortunately, this is how most marriages start out. Once the dust settles, and the flowers fade, life seems so ordinary. There are many things I could write about today to commemorate our wedding day. However, I think the most important topic needs to be what is holding us together. Two common struggles in marital relationships are expectations and commitment. It is expected so often to test married life through cohabitation. No amount of time will prepare you for what life will be like in the midst of the nitty gritty until you’re actually IN the nitty gritty. We were married for two years before we purchased a house and a few years after that we became parents. I don’t care who you are– even the best communicators sharing the same hopes and dreams are going to encounter conflict. This is where commitment becomes everything. As you’ve read in previous posts, we separated for a year and a half. Honestly, most of our 23 years have been dysfunctional. I’ve been the one ready to throw in the towel– too tired to make it work. Now, it’s different. We don’t hold on just because we’re too tired to start over. We hold on because the focus isn’t on our invividual selves but on what we are together. There is no way to know if either of us will lose the blessing of our health. I do know that our level of commitment is fused more tightly than ever. There is no way to prepare for the days ahead other than to be anchored in faith that neither of us will jump ship when the boat encounters choppy seas. I suppose one day down the road you will read about my raw emotions during those rough times. Today, we will focus on the willpower to press on, until death do us part. I’ve read and heard some revealing testimonies of troubled marriages. Some have been wrapped up in unsuspecting packages. Today, more than ever, we need to be honest and open that life together isn’t always peachy keen. But God. But God can still perform miracles in the sanctity of matrimony. I am grateful couples are willing to step out to encourage others that they can press on to make it work. I’ll be writing more in the weeks to come. For now, I’ll wrap this up with a few tunes. By the way, has anyone noticed many of my blog titles are actually song lyrics? ?